Don't forget to keep your bouquets in water before showtime! How vintage and beautiful! This is such a great simple thing to do for such a great big look! 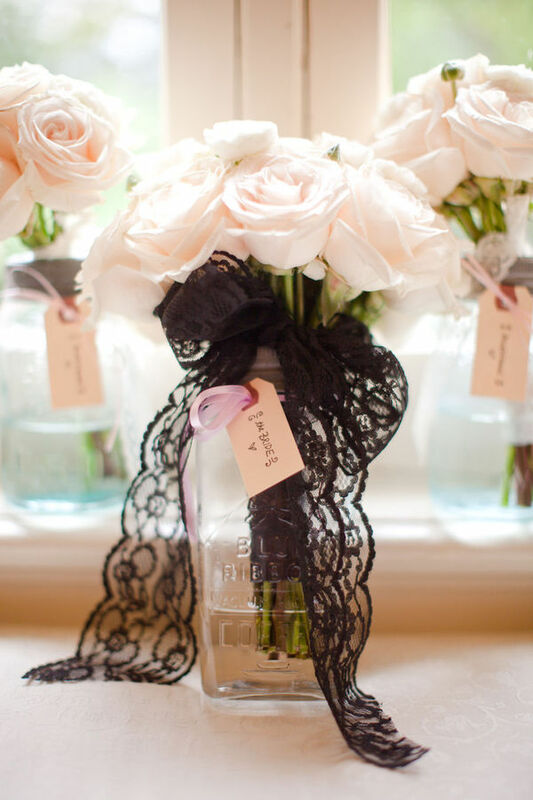 Love the contrast between the light roses and black lace tie! Gorgeous arrangements. Thank you for posting.